!NOTE: The inventory list does not work with Collectorz.com desktop software. 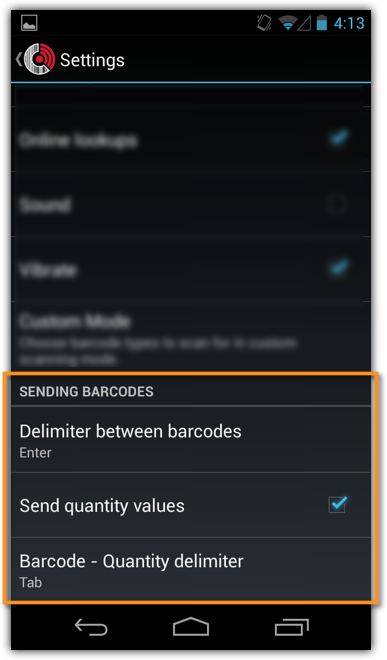 The Quantity Mode lets you scan barcodes and define a quantity for each barcode. When Quantity Mode is “ON”, just scan a barcode, and tell CLZ Barry how many you have of that barcode. If you scan the same barcode again, you will be asked to “add” a quantity to the existing entry of that barcode in your list. Check the Reference topic on Settings to find out more about what these settings do. With Quantity Mode you could create an inventory list. Find out how.